I finally got to try the HTC Vive. Here are my first impressions, in comparison to the Oculus Rift, Playstation VR, and Samsung Gear VR. HTC Vive is one of the three desktop VR systems for consumers. It competes with the Oculus Rift (first impressions here) and Playstation VR (first impressions here). Whereas the Rift and PSVR are designed to be used while seated or standing in one place, the Vive is designed for room-scale VR, with a larger tracking area than the Rift or PSVR. Many of its games are designed with the user walking around. Prior to trying the Vive, I had tried the Oculus Rift and Playstation VR. I also have Samsung Gear VR (reviewed here). What I learned from those experiences is that positional tracking is the sine qua non for “presence” — the illusion of feeling like you’re in the virtual space. If positional tracking was the magic ingredient for presence, I surmised that room-scale VR, where the user would be walking around, would convey an even stronger sense of presence, so I had been hoping to try the Vive. I tried the demo at a Microsoft store. The demo area was about 10 feet long by about 7 feet wide. The rep handed me the headset. It did not feel as heavy as I thought it would be. I put it on, and it felt reasonably comfortable, although front-heavy. I noticed that there was significant light leak on both sides of my nose. However, while actually playing the games, I didn’t notice the light leak. The field of view did seem a little wider than the field of view I was accustomed to seeing on the Gear VR, Although I could see the individual pixels, I did not feel bothered by any screen door effect. The rep then handed me the controllers. It was easy to take them because I could see their position accurately while wearing the headset. The controllers were a little larger but much lighter than I expected — and felt comfortable to hold. Each controller had a large clickable trackpad that also acted as directional pad. There was a tutorial of sorts where I was invited to use the controllers to play with balloons. It showed a color wheel overlay on the left controller’s trackpad, and I would choose the color with my thumb and click the trackpad to inflate the balloon of that color. Then I used the other controller to knock the balloon away. It was a simple tutorial, but it showed me a few things: first, the virtual representation of the controllers was highly accurate. The color wheel had many colors (24 perhaps?) but I had no trouble selecting the color. The color I chose corresponded to the color I produced. Second, it showed that the entire trackpad was well within the reach of my thumb. I had no difficulty selecting any part of the trackpad. Third, the motion tracking of the controllers was highly accurate. There was no perceptible delay unlike for example the Wii or even the Wii Motion Plus. I had several concerns with the Vive. First, I was concerned about running into a wall or accidentally damaging furniture or the Vive. This concern was heightened at the demo because there was a glass wall on one side. Second, I was worried about accidentally tripping over the cables. With the other desktop VR systems I tried, I was mostly in one place. With Vive’s room-scale, I would have to walk around, increasing the chance of me accidentally tripping over the cables. Actually, I didn’t have to worry about running into a wall. The Vive’s chaperone system worked very well. The Vive is equipped with a camera that monitors the surroundings. In the display, I could see a blue outline on the ground showing the boundaries of the play area. If the I or the controllers approached the boundary, a virtual wall with grid would show up, showing the walls of the boundary. The chaperone also has adjustable appearance and can be made to look less intrusive. However, one limitation of the chaperone is it won’t show your ceiling. So, you may need to be careful about jumping and trying overhead motions. As for the cables, I never tripped over them even though I was walking around. I think I was subconsciously keeping track of where the cables were. I tried three demos at the Vive: “The Blu: whale encounter,” a deep diving simulation; “The Lab: Longbow,” an archery game; and “Space Pirate Training,” a shooting game. In this VR experience, you’re a diver exploring a shipwreck as fishes and manta rays swim around you. Compared to Ocean Rift, a diving simulator for the Samsung Gear VR, the Blu on the Vive felt much more immersive, and did convey a feeling of presence (the illusion of feeling as if you are somewhere else). I walked around the deck of the ship, sometimes crouching to examine details more closely, or looking up to see the sun shining through the water. The climax of the VR experience is when a blue whale swims past you. Although I wouldn’t mistake it for a real whale, it did seem to capture the feeling of awe from beholding something gargantuan. Here is a video by VGU, showing what the Blu looks like. In concept, the game is similar to Archer E. Bowman for the Gear VR, one of the games I really enjoy on the Gear VR. Compared to Bowman, Longbow again felt more immersive. More importantly, as I was walking around the rampart, I felt no nausea at all, whereas in Bowman, I feel a little bit of dizziness when I use the joystick to walk around. In terms of controls, the Vive’s control scheme was more natural. In the Gear VR, I used my head to aim and the controller (or control pad) to shoot. In the Vive, I ‘picked up’ the bow by using the left controller and left trigger. I placed an arrow on the bow with the right controller using a natural motion, and drew the bow by moving the right controller back. As I did, the controller vibrated to simulate the feeling of the string being pulled. I released the trigger on the right controller to release the arrow. In actual gameplay, I found the Gear VR control scheme was much easier. On the Vive, I was puzzled that my shots on the Vive kept going to the left. And when I was trying to place the arrow on the bow, often the arrow would point straight up, then be corrected after a moment. However, with practice, I think the Vive could feel more fun. Despite struggling with my aim, I found the Longbow game quite fun. For comparison, there are several shooting games on the Gear VR, such as its killer app EVE Gunjack, However, nothing on the Gear VR can directly compare to Space Pirate Trainer because of SPT’s controls, which make it more similar to an arcade light gun shooter, only ten thousand times better because you move around and shoot in all directions with two guns, shooting John Woo style. AND you’re in a virtual environment where you can walk around. AND — my favorite part –you can dodge enemy fire in bullet time like in the Matrix. You can even see the bullet streams in 3D, walking around them like Neo. It was amazingly fun despite its simplicity. I’ve tried the other primary systems — Oculus Rift, Playstation VR, and Samsung Gear VR. Compared to the Samsung Gear VR, all three desktop VR systems are far more immersive and create a stronger sense of presence as long as you play standing up. If you play just sitting down, the Gear VR can actually feel similar to a desktop VR system. Compared to the Oculus Rift or Playstation VR, I would say the Rift feels the most ‘polished,’ as if they had a perfectionist designing it. The Rift’s headset feels more balanced, there are no light leaks, and the menus are much nicer-looking. I haven’t tried the Oculus Touch controllers, but early reviews say it is still better than the Vive’s excellent controllers. Moreover, to my understanding, if you buy a Gear VR game, you automatically get its Rift version as well (if any). As for the Playstation VR, what I believe it has going for it is the software. The games on the PSVR seem more ‘complete,’ not merely tech demos. In that regard, I would say many Gear VR games have a similar feeling. On the Vive, many of the games I’ve seen look like they are in beta phase. But if I had to choose only one VR system, I would probably want to get the HTC Vive. I have no doubt that room-scale adds a lot to the VR experience and takes it to another level. 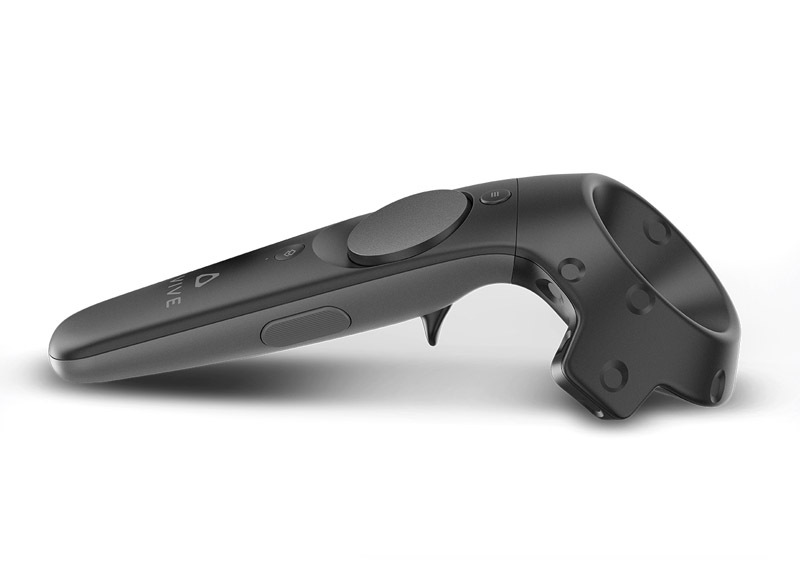 In addition, the Vive’s intuitive motion controllers further add to the immersion. They’re totally different from using a control pad or gamepad, and make it feel more immersive — analogous, I suppose, to how the Wii controls were revolutionary, except that the Vive’s controllers actually work as you expect them to. It is true that Oculus Touch is due by the end of the year, and from the available info so far, it seems like it is even better than the Vive’s controllers. What’s more, the Oculus Touch’s additional sensor can be used to add room-scale VR capability to the Rift. However, I think there are a few problems with that. The Rift wasn’t designed for room-scale. So, although you can make it room scale with the additional sensors, it creates several practical issues. For example, the Rift’s sensors need to be connected to the desktop. For the sensors to cover a room, a USB cable would have to go from the far end of the play area to the desktop. It can be done with an extra long USB cable, but it is awkward. Another issue is the chaperone system. The Rift has no camera on the headset. It is theoretically possible to create a chaperone system by setting the virtual boundaries of the play area, but if the sensors are accidentally moved, or an object/animal/person enters the play area, the virtual boundary won’t be reliable. I said that I would want to get the HTC Vive. The big question however is the software. I’m not satisfied with the Vive’s current game library yet. I believe the problem is that there are only around 100,000 Vive units that have been sold as of July 2016. That’s good progress for something that costs $800 plus the cost of a VR-ready PC, but if you’re developing a game, it is difficult to make a high quality game that still makes money. On the other hand, with 40 million Playstation 4 consoles sold as of May 2016, Playstation VR will likely have at least a few millions of units sold (given that early presales have sold out). In terms of economics, it seems more practical for game developers to create games for the Playstation VR. So if I had to bet on a system succeeding, I think the logical choice would be the Playstation VR. I did preorder the Playstation VR. But I’m not writing off the Vive or Rift. I’m making my PC VR-ready with the GTX 1060 (for both 4k video editing and VR gaming). I will be watching software releases for the Vive to see if its library has improved. As for the Rift, I’m hoping that the Oculus Touch does somehow add room-scale VR in a practical way. If it does, I may prefer it over the Vive. Meanwhile I continue to enjoy the Samsung Gear VR and look forward to Google Daydream. RELATED POST: Brand New VR-Ready PC for $720!